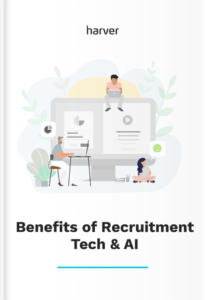 Companies use various recruitment metrics to measure the efficiency of their recruitment efforts. Two of these metrics are employee attrition and employee turnover. The terms employee attrition and employee turnover are often used interchangeably, but they represent different types of employee churn. So just what are the differences between the two and how can you control them? Both employee attrition and employee turnover refer to the speed with which a company gets through its staff. Both cost you in terms of time and money, however, employee attrition is usually beyond your control, whereas you can actively work to limit employee turnover. Employee attrition refers to the lifecycle of your workforce: it is not normally a negative representation of the company. Employees move away, pass away or retire; they could leave to raise a family or go back to school. Regardless, whatever their reason for leaving your company isn’t because they have an issue with you, it is merely a result of life happening. However, when unwanted employee attrition takes place, this is normally a result of the company downsizing, struggling financially or going in a new direction. In both cases, the position is unlikely to be filled again. Employee turnover, on the other hand, could be a result of poor hiring decisions or even a hostile or discriminatory work environment. Employee turnover usually applies to those members of staff who left the company due to termination, taking a job they deem better, or because they believed they couldn’t grow or further their career with your company. When employee churn occurs due to turnover, usually the vacated position needs to be filled quickly. Employee turnover is a normal part of the workforce, unless it is too high and hurts the company. Just as the definition of employee attrition and turnover differ, so too does the cost of each of them. Seeing as employee attrition is synonymous with a company looking to reduce costs via shrinking labor, either through not replacing leaving employees or through layoffs, the outlay of this activity should be minimal – it is a cost-cutting method after all. However, if a member of staff chooses to leave of their own accord prematurely, this results in a vacancy that needs to be filled. Turnover can cost twice as much as a normal hire, especially if the employee had not been in post long. The average cost to hire is $4,000, which is on a par with the average cost to hire after employee turnover, which stands at $4,129. So if you’re hiring twice in one year for the same job, that is going to add up quickly. In short, while employee attrition might serve as a way of cutting costs, employee turnover increases the spending. There is an overlap in cost between attrition and turnover, because turnover, while sometimes viewed negatively, can help the company’s bottom line, particularly if the company is going through hard times. One bonus if a member of staff leaves the company for pastures new is that, if said employee isn’t an essential member of staff, the company won’t urgently need to fill their vacated spot and could implement a hiring freeze for the role until it’s needed again, thus saving money. The rate with which employees turnover is more indicative of the company than the employee. A high turnover rate could be a result of poor working conditions i.e. low pay or a lack of training, or bad hiring decisions. Whereas a low employee turnover rate demonstrates a company culture and work environment where employees feel valued, are satisfied in their work and feel they can progress in their career paths. So how do you know if your company has a normal or above average rate of employee attrition or employee turnover? According to the Bureau of Labor Statistics, in 2017 the average employee turnover rate was 15.1% of the total US workforce. These people either quit their job voluntarily, retired, or were laid off or discharged from their post. Other studies have lowered the average rate to 10%. So a good benchmark for your company would fit between the two. The food service industry. This industry has the highest turnover rate due to low wages, seasonal work and a younger than average workforce. In 2016, according to the National Restaurant Association, the average employee turnover rate was 72.9%. Hospitality industry. Non-management hospitality worker turnover rate is high due to low wages and the requirement to deal with large volumes of customers. The turnover norm for the hospitality industry is between 31-34%. Warehousing. Staff who work in warehouses are expensive to replace, with the average cost to hire being 25% of salary. Transportation. According to data by Uber, 11% of new employees are gone within a month, 50% within a year. Apart from costing a lot of money, employee turnover has other consequences for your business. • Getting rid of poor performing employees. • Opening up for an opportunity to hire people who fit the job and company better. • Could be a result of a more serious issue within the workforce. • Prevents you from focusing on your job: to grow the company. • Replacing employees is a time-consuming and costly process. If you’ve just filled the role, you could be shelling out again for it. • Whilst HR are working tirelessly to fill that role, they aren’t focussing on filling other, just as important, roles. Employee turnover is an expensive issue not only in the US but everywhere around the world. Which leads us onto: can you predict employee turnover? • Absenteeism. This could be through work-related stress, or it could because the employee is applying for jobs and interviewing elsewhere. Question why they aren’t in the office. • Disengagement. 37% of engaged staff are looking for opportunities elsewhere compared to 73% of actively disengaged staff. Expect the resignation of staff who’ve zoned out. • Low productivity. Unhappy staff produce 10% less work than happy staff. If you’ve noticed a decline in output, they could be working up to leaving. If you want to prevent a high employee turnover rate, you have to start by looking at your hiring process. • Hire people who you’re sure will fit the job and the organization. • Use pre-employment assessment software during the hiring process to assess candidates and predict their success in the role. • Ask current staff members for referrals. Start an employee referral scheme. Continue with onboarding and regular check-ins with your staff. • Onboard each new hire efficiently and ensure they understand the company and what is expected of them. • Conduct regular performance reviews to ensure staff are on track. Carry out unofficial check-ins to show you care. • Ensure all issues are resolved quickly to prevent the problem from escalating. • Adopt an open door policy so staff know they can have your ear if they require it. Keep the focus on employee development, learning, and growth. Develop an attractive compensation package. • Challenge staff and help them be fulfilled in their work. • Allow staff to grow and provide room for them to stretch their wings. • Pay your employees competitively. If you aren’t sure, check with the U.S. Department of Labor Occupational Outlook Handbook. If you can’t match a competitor’s salary, look to offer incentives elsewhere: flexitime, flexible workings, extra vacation days, office perks, a new laptop. Despite your best efforts, there is always going to be employee turnover, sometimes, you just can’t please everyone. However, don’t be complacent. Always treat employee turnover with the respect it deserves, because it could be indicative of a problem in the ranks that you’re not aware of. So consider conducting exit interviews to learn why the employee is leaving. You might start to see patterns if you’ve conducted a few recently. And remember to ask each employee as they leave: “Is there anything we could have done differently to make you want to stay?” Bank their response in the lessons learned book. 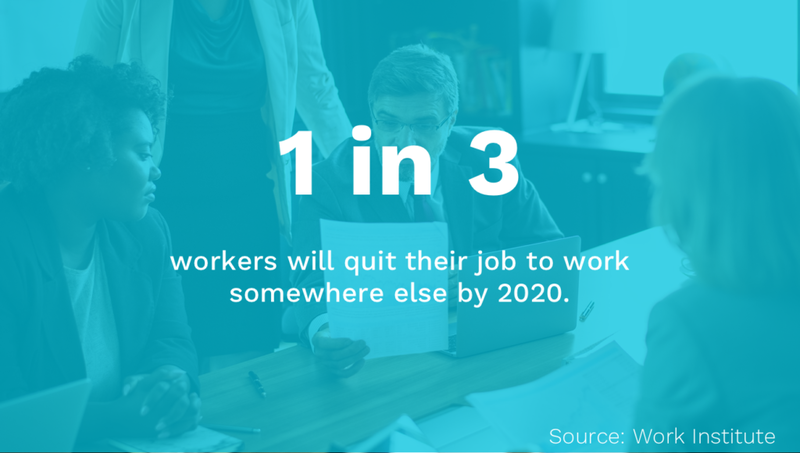 It is important to learn about the reasons why employees are leaving, for example, through exit interviews, to be able to prevent them in the future. Generally, employee attrition is considered a natural process. This is true to some extent but there are instances where attrition can be prevented as well. Then there are the forms of employee attrition that employers can control, such as layoffs or elimination of positions. • For a company or organization that is facing financial distress, employee attrition can help to relieve a little pressure on the purse strings by cutting wage costs. • Having to get rid of employees usually involves a more amicable departure from the organization, because attrition is a fact of work life. • By reducing the size or strength of the workforce, you are reducing the potential growth of the business. Employees who were anticipating a fast growing business will quickly become disgruntled if the business’ direction suddenly changes. • Reducing staff can result in the remaining job duties increasing the workload of remaining employees, as they have to pick up the slack. Expecting staff to maintain the pace and scale of work that they were running at with a full team, is unrealistic. Anticipate grumbles from overworked staff and a significant reduction in output too. • Eliminating a role might lead to impossibility of a promotion and stymie or jeopardize the career trajectories of certain members of staff who were relying on filling that role at some point in the future. • You could lose valuable employee knowledge. • It can create a domino effect when one employee leaves and is deemed successful in their new venture. • Carefully consider your hiring needs in the first place and create a hiring plan. • Create a contingency plan should the worst happen, rather than react with a knee jerk reaction and layoff staff. • Negotiate a pay reduction with staff for a set period of time rather than lay them off altogether. • Offer unpaid vacation time to those with families. • Communicate with staff for their input – they might see where you are spending frivolously, that you might have missed. Even though layoffs or role eliminations happen quite often, the overall number of jobs continues to rise. However, sometimes a layoff is an inevitable step. So if you have to lay people off after all, how do you manage the situation? • The first answer is through clear, honest and open communications. If you don’t tell your employees the truth, they’ll make it up. • Secondly, ensure the top brass do the layoffs, don’t hire in someone from outside and shirk responsibilities. • Thirdly, provide support and assistance to those being laid off. For example, after a Dutch travel startup Travelbird declared bankruptcy in late 2018, the HR and management compiled a list of employees with a short description their expertise and their contact details (with employees’ consent, of course) and shared it across their professional networks. A company is only ever going to be as good as its employees. Innovation is key to growth, and innovation relies entirely on great people. So if you want to be the best, you have to hire the best. Employee attrition and turnover, whilst a sad fact of business, are costly in more ways than money: they are detrimental to productivity, morale and revenue generation. So, you have a choice, you can work to minimize employee attrition and employee turnover by investing in employee retention strategies and/or you can invest in hiring right from the get-go.